My research is in the area of quantum information science – the study of how the laws of quantum physics can be harnessed to transform computation and communication, and to develop novel tasks such as teleportation. My work also explores the fundamental connections between classical chaos theory and quantum physics, and has led to the first experiments directly showing the effect of chaos on quantum entanglement. 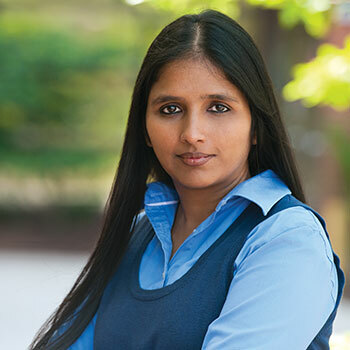 As founding Director of the Laurier Centre for Women in Science (WinS), I also work on research projects and lead initiatives to explore and address gender issues and diversity in science. For more about my work, check out the Videos and Podcasts section and the Publications section below. Find out more about WinS at wlu.ca/wins. Greenpeace podcast: What's quantum teleportation? Greenpeace podcast: What would happen if I reached light speed? Kavli Foundation Frontiers of Technology: Are computers finally going quantum? Graduate and undergraduate research positions available. Please email me if you are interested. 55. S. Ghose, V. Milosevic-Zdelar, and A. 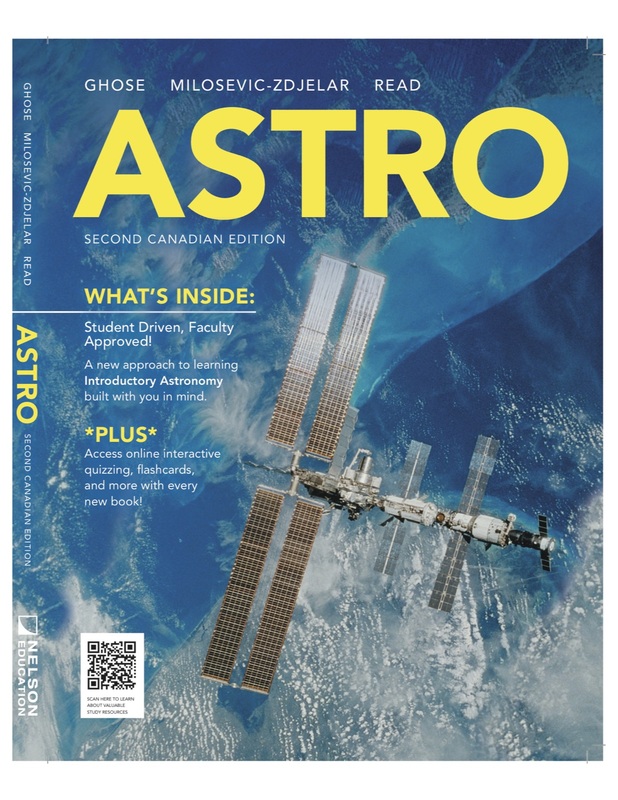 Read, Astro, Canadian 2nd Edition, (Nelson, 2015). 54. A. Predoi-Cross, G. Butcher and S. Ghose, Editors, “Women in Physics”, Physics in Canada Special Issue 71 (2015). 53. A. Dasgupta, A. Aleksejevs, S. Barkanova, S. Ghose, and M. Wartak, Editors, "Theory Canada 9 Proceedings", Canadian Journal of Physics 93 (2015). 52. B. Cunningham, C. O'Riordan and S. Ghose, Editors,. “5th IUPAP International Conference on Women in Physics", AIP Conf. Proc. 1697 (2015). 51. S. Ghose, and P. S. Jessen, “Quantum signatures of chaos”, McGraw-Hill Yearbook of Science and Technology, An annual round-up of the amazing breakthroughs in science and technology, McGraw-Hill Professional (2011). 50. M. Kumari and S. Ghose, “Quantum-classical correspondence in the vicinity of periodic orbits”, Physical Review A 97 (5), 052209 (2018). 48. X. Li and S. Ghose, "Hyperentangled Bell-state analysis and hyperdense coding assisted by auxiliary entanglement", Physical Review A Rapid Communication 96 020303 (2017). 47. M. Kumari, S. Ghose, and R. B. Mann, "Sufficient condition for nonexistence of symmetric extension of qudits using Bell inequalities", Physical Review A 96, 012128 (2017). 46. E. Hennessey, M. Foster, and S. Ghose,”Picture This: Using Photo-Research Exhibits as Science Outreach”, Physics in Canada 73, 1 (2017). 45. X. Li and S. Ghose, “Complete hyperentangled Bell state analysis for polarization and time-bin hyperentanglement”, Optics Express 24, 18388 (2016). 44. X. Li and S. Ghose, “Analysis of control power in controlled remote state preparation schemes”, International Journal of Theoretical Physics 55, 1 (2016). 43. X. Li and S. Ghose, “Self-assisted complete maximally hyperentangled state analysis via the cross-Kerr nonlinearity”, Physical Review A 93, 022302 (2016). 42. X. Li, and S. Ghose, "Optimal joint remote state preparation of equatorial states", Quantum Information Processing 14, 4585 (2015). 41. X. Li, and S. Ghose, "Hyperentanglement concentration for time-bin and polarization entangled photons", Physical Review A 91, 062302 (2015). 40. V. Madhok, V. Gupta, D.-A. Trottier, and S. Ghose, "Signatures of chaos in the dynamics of quantum discord", Physical Review E 91, 032906 (2015). 39. X. Li and S. Ghose, "Efficient hyperconcentration of nonlocal multipartite entanglement via the corss-Kerr nonlinearity", Optics Express 23, 3550, (2015). 38. G. Butcher, A. Predoi-Cross, and S. Ghose, "International conferences on women in physics", Physics in Canada 71, 66 (2015). 37. X. Li and S. Ghose, "Analysis of N-qubit controlled teleportation schemes from the controller's point of view", Physical Review A 91, 012320, (2015). 36. V. Madhok, C. A. Riofrío, S. Ghose, and I. H. Deutsch, "Information gain in tomography - A quantum signature of chaos", Physical Review Letters 112, 014102, (2014). 35. X. Li, and S. Ghose, "Hyperconcentration of multipartite entanglement via linear optics", Laser Physics Letters 11 (12), 125201 (2014). 34. X. Li and S. Ghose, "Control power in perfect controlled teleportation via partially entangled channels", Physical Review A 90 (5), 052305 (2014). 33. S. Ghose, A. Kumar, and A. M. Hamel, "Multiparty quantum communication using multiqubit entanglement and teleportation", Physics Research International 2014, 948750 (2014). 32. M. Milner-Bolotin, A. Predoi-Cross, R. Austin, A. Dasgupta, S. Ghose, M. Steinitz, and LH. Xu “Canadian participation in the 4th International Conference on Women in Physics.”, Physics in Canada 67, 202 (2011). 31. S. Ghose, S. Debnath, N. Sinclair and R. Stock, “Multiqubit nonlocality in families of 3-qubit and 4-qubit entangled pure states”, Journal of Physics A, 43, 445301 (2010). 30. S. Ghose, N. Sinclair, S. Debnath, P. Rungta and R. Stock, "Tripartite entanglement versus tripartite nonlocality in 3-qubit GHZ-class states", Physical Review Letters 102, 250404 (2009). 29. S. Chaudhury, A. Smith, B. E. Anderson, S. Ghose and P. Jessen, "Quantum signatures of chaos in the kicked top", Nature 461, 768 (2009). 28. S. Ghose, "The Einstein-Podolsky-Rosen paradox and the nature of reality", Physics in Canada, 65, 199 (2009). 27. S. Ghose, R. Stock, P. Jessen, R. Lal and A. Silberfarb, "Chaos, entanglement and decoherence in the quantum kicked top", Physical Review A 78, 042318 (2008). 26. S. Ghose, C. R. Paul and R. Stock, “Quantum chaos and tunneling in the kicked top”, Laser Physics, 18, 1098 (2008). 25. S. Ghose and B. C. Sanders, “Continuous measurement and the quantum to classical transition”, Physics in Canada 63, 173 (2007). 24. 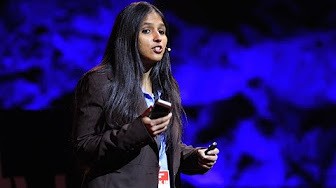 S. Ghose and B. C. Sanders, “Non-Gaussian ancilla states for continuous variable quantum computation via Gaussian maps”, Journal of Modern Optics 54, 855 (2007). 23. S. Ghose, B. C. Sanders, P. M. Alsing and I. H. Deutsch, “Nonseparability of continuously measured quantum systems in the classical limit”, Canadian Journal of Physics 85, 633 (2007). 22. S. Ghose, P. M. Alsing, B. C. Sanders and I. H. Deutsch, “Entanglement and the quantum-classical transition”, Physical Review A, 72, 014102 (2005). 21. K.-P. Marzlin, S. Ghose and B. C. Sanders, “Geometric phase distributions for open quantum systems”, Physical Review Letters 93, 260402 (2004). 20. S. Ghose and B. C. Sanders, “Entanglement dynamics in chaotic systems”, Physical Review A 70, 062315 (2004). 19. X. G. Wang, S. Ghose, B. C. Sanders and B. Hu, “Entanglement as a signature of quantum chaos”, Physical Review E 70, 016217 (2004). 18. S. Ghose, P. M. Alsing, I. H. Deutsch, S. Habib and T. Bhattacharya, “The transition to classical chaos in a coupled quantum system via continuous measurement”, Physical Review A, 69, 052116 (2004). 17. S. Ghose, P. M. Alsing, I. H. Deutsch, S. Habib, K. Jacobs and T. Bhattacharya, “Recovering classical dynamics from coupled quantum systems through continuous measurement”, Physical Review A 67, 052102 (2003). 16. S. Ghose, P. M. Alsing, and I. H. Deutsch, “Atomic motion in magneto-optical double-well potentials: A testing ground for quantum chaos”, Physical Review E 64, 056119 (2001). 15. I. H. Deutsch, P. M. Alsing, J. Grondalski, S. Ghose, D. L. Haycock, and P. S. Jessen, “Quantum transport in magneto-optical double-potential wells”, Journal of Optics B: Quantum and Semiclassical Optics 2, 633 (2000). 14. B. Jones, S. Ghose, J. P. Clemens, P. R. Rice and L. M. Pedrotti, “Photon statistics of a single-atom laser”, Physical Review A 60, 3267 (1999). 13. E. Hennessey et al., “Intersecting Identities: Gender and intersectionality in physics”, 6th IUPAP Conference on Women in Physics, AIP Conf. Proc. in press,(2018). 12. E. Aucoin, et al., “An update on the status of Women in Physics in Canada”, 6th IUPAP Conference on Women in Physics, AIP Conf. Proc. in press(2018). 11. S. Ghose, and A. Hamel, “Quantum communication using a multiqubit entangled channel”, 5th IUPAP International Conference on Women in Physics, AIP Conf. Proc. 1697, 070002 (2015). 10. L.-H. Xu, et al., “Women in Physics in Canada”, 5th IUPAP International Conference on Women in Physics, AIP Conf. Proc. 1697, 060009 (2015). 9. E. Hennessey et al., Gender Studies, 5th IUPAP International Conference on Women in Physics, AIP Conf. Proc. 1697, 050001 (2015). 8. A. Predoi-Cross, R. Austin, A. Dasgupta, S. Ghose, M. Milner-Bolotin, M. Steinitz, and L.-H. Xu, “Women in Physics in Canada”, 4th IUPAP Conference on Women in Physics; AIP Conf. Proc. 1517, 86 (2011). 7. P. S. Jessen, I. H. Deutsch, and S. Ghose, "From Order to Chaos with a Spin and a Twist," Quantum Electronics and Laser Science Conference, OSA Technical Digest, Optical Society of America (2010). 6. S. Ghose, N. Sinclair, S. Debnath and A. Kabra, "Analysis of a tripartite Bell-inequality for 3-qubit states", Ninth International Conference on Quantum Communication, Measurement and Computing: AIP Conf. Proc. 1110, 95 (2009). 5. S. Ghose and B. C. Sanders, “Analysis of non-Gaussian states of light as a resource for quantum information processing with continuous variables”, Proc. of SPIE: Quantum Communications and Quantum Imaging III 5893, 149 (2005). 4. S. Ghose, P. M. Alsing, I. H. Deutsch and B. C. Sanders, “The quantum to classical transition in continuously measured bipartite entangled systems”, Proc. of SPIE: Fluctuations and Noise 5842, 232 (2005). 3. S. Ghose, P. M. Alsing, I. H. Deutsch and B. C. Sanders, “The quantum to classical transition in entangled systems via continuous measurements”, Seventh International Conference on Quantum Communication, Measurement and Computing: AIP Conf. Proc. 734, 61 (2004). 2. S. Ghose, P. M. Alsing, I. H. Deutsch, P. Jessen, D. Haycock, S. Habib, and T.Bhattacharya, “Quantum and classical dynamics of atoms in a magneto-optical lattice”, 7th Experimental Chaos Conference, San Diego California, 2002, AIP Conf. Proc. 676, 283 (2003). 1. P. S. Jessen, D. L. Haycock, G. Klose, G. Smith, P. M. Alsing, I. H. Deutsch, J. Grondalski and S. Ghose, “Coherent tunneling and quantum control in an optical double-well potential”, Proceedings of the XV International Conference on Laser Spectroscopy, Snowbird, Utah, World Scientific (2002).